Again, wonderful show year behind! On of the biggest achievement is behind - Internatinal Champion title. 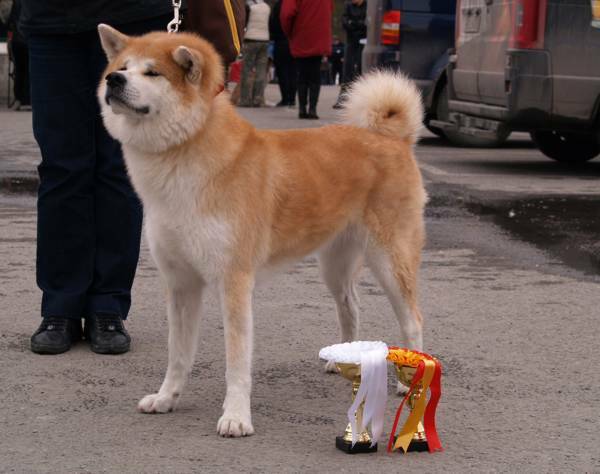 Aiko (VU Aetna) is the first VU bred dog to gain this title! New rules just came in and now dog needs 4 CACIB from 3 different country. Aiko had 10 CACIB's already, but only from 2 different countries. Our new rising star is Nasu (VU Minerva Kaoru) who got 4 winner titles! 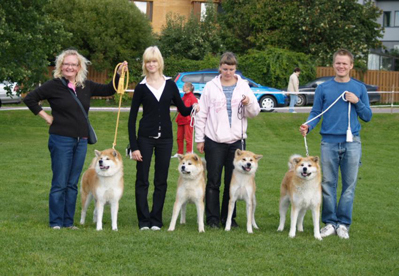 And with these big wins Viribus Unitis is again the most succesful kennel at Finland. Thanks to all the VU dog owners, old and new friends for the passed year! I hope next year is succesful inside and outside the show ring! Winner title x 6 !! Great day with great results! Judge was very pleasent and suprised me completely when placing Juno first! He liked Juno very much, although she was quite fat. The day was very hot, but dogs didn't care. I was also very happy Karpo's BOB puppy win! It was nice to get a breeder group to show. Thanks to all my friends for the day! Summaryof shows from the year 2007 Showswentnicely in the year 2007. 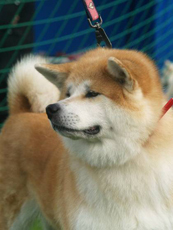 First ViribusUnitis dogs are now older and better and its shows in the results withexcellent provement. I have been watching also the younger dogs of mineto develop and it's looking promising. 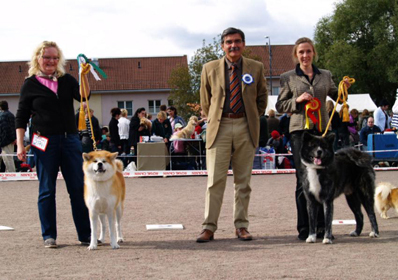 Siru (V. U. Abundantia) started her shows and have achieve 2 CC's!Hilma (V. U. Eikyuusei) got herself few BOB puppy results. 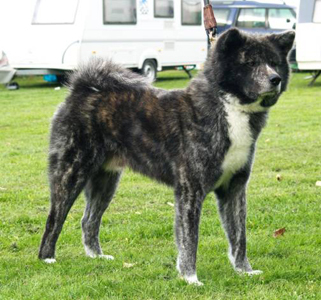 Our japanimport male Sulo was also shown few times in shows and got 1 CC withBOB. A great moment for me was the first breeder group gathering with theresult of BOB -breeder group! Viribus Unitis Aetna "Aiko" ??!?!? Winner2002 Palokin Like A Dream "Juno" IntermediaEXC 1 BOB Winner-2002 Eyes expressionis very good. Ears expression is good, but a little low set and toowide. Body balance is good. Hindangulations needed a little bit more.